Well with the new White Dwarf comes word of the new aircraft for Space Marines and Orks and the missing craft for the Crons (finally). A lot of people I know have said that they don't like the Stormtalon, but I personally think it looks rather nice. 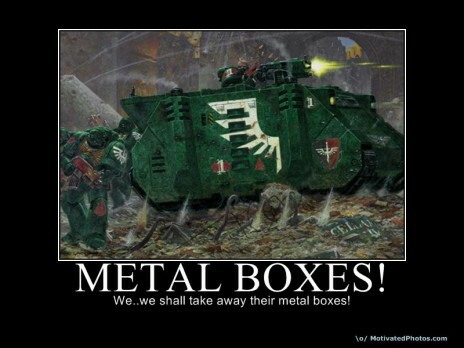 Sticking to the usual marine way of attaching many guns to a metal box and sending it in to kill stuff...works for me. It will be interesting to see what the points costing on it will be, as if it isn't too bad then I may very well pick up a few to throw in an Apoco force. 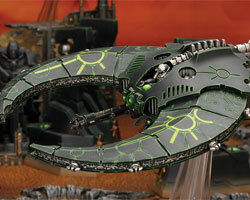 The Night/Doom Scythe kit looks as good as I expected, nice styling and fits lovely with the other Cron kits. Will be nice to get a few of these sorted out for my Necron force after I finish my Dystopian Wars forces for summer.Only need 4 kits ¬_¬ FML. For pure looks and feel I would have to say the Ork kit is my favourite. All the variations available look fantastic and truly Orky and who ever doesn't like the crazed styling of the Orks and their Gun-ho attitude isn't playing the game right!!!! This is the sort of kit I may end up picking up just to paint and keep on the shelf for decoration. Will be checking out the rules etc for the new updates and seeing what's what once I get WD on Monday/Tuesday. What do you guys think of the new releases? Leave a comment below and let me know. looking forward to seeing your cron army on the field now your flyers are being released. I will have to make an effort once I get this DW stuff out of the way. I kind of lost my passion for them with the wait but hopefully a kit for this will rekindle my love.